Students who are being introduced to the topic of ‘planets and Solar System’ often get confused with the order of the planets in the Universe. ‘Order the Planets’ will help young kids in primary grades remember the right order of the planets in the orbit, with the help of diagrams. 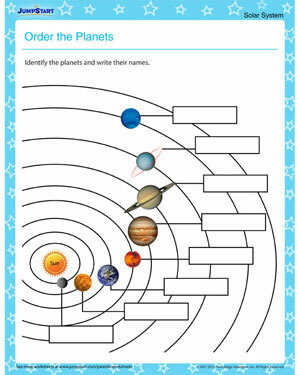 Check out our interesting collection of free planet worksheets for kids .